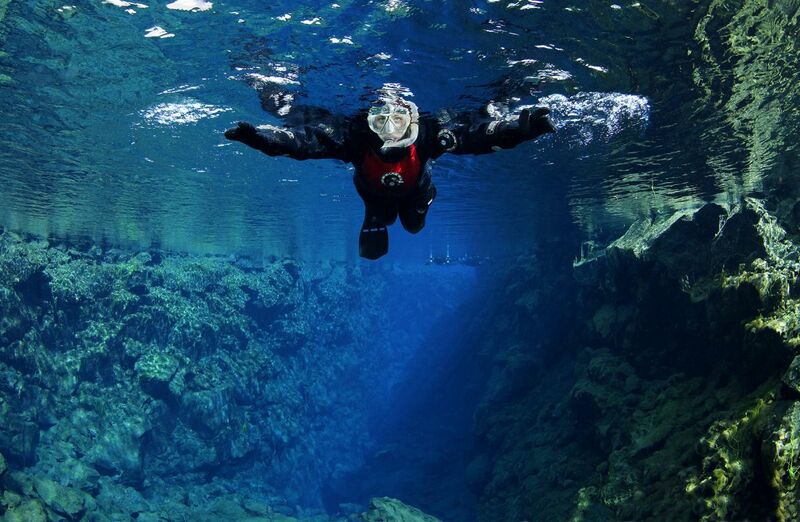 In one day you will snorkel through one of the world’s most fantastic snorkel and dive sites, Silfra, and go hiking through a lava tube that was created thousands of years ago by a river of red glowing lava! This tour combines our Silfra Snorkeling Tour with a tour of volcanic activity on the Reykjanes peninsula, including a hike through a lava tube. The lava tube you will visit is called Leiðarendi cave. Leiðarendi displays the typical features of this most common type of lava cave in Iceland. It is full of utterly weird and wonderful rock formations as well as a splattering of amazing colors. Even though at some points inside the cave we will have to climb and crawl a little, this cave tour is an easy one that can be undertaken by everyone who feels comfortable in confined spaces and is fit to take a short hike. Please make sure to bring good shoes. Prior to your hike in the lava cave, you will see another feature of tectonic activity from another and most unusual perspective: underwater! 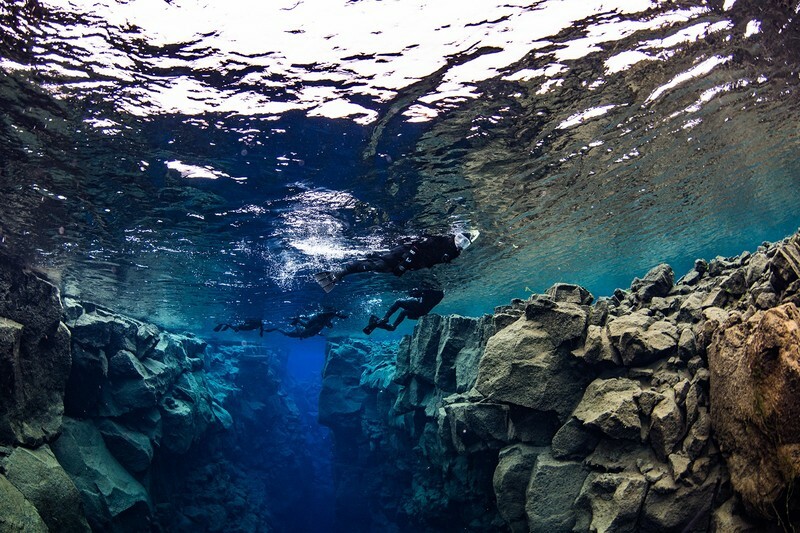 Silfra is a fissure created by the Eurasian and North American tectonic plates pulling apart. The fissure is filled with crystal clear glacial water that has been filtered underground for decades. This is an underwater scene unlike anywhere else on earth.